1/2" Shaft, M14, 5/8”-11 Thread. Dry Core drilling used for different kinds of stone, including granite, marble, etc. 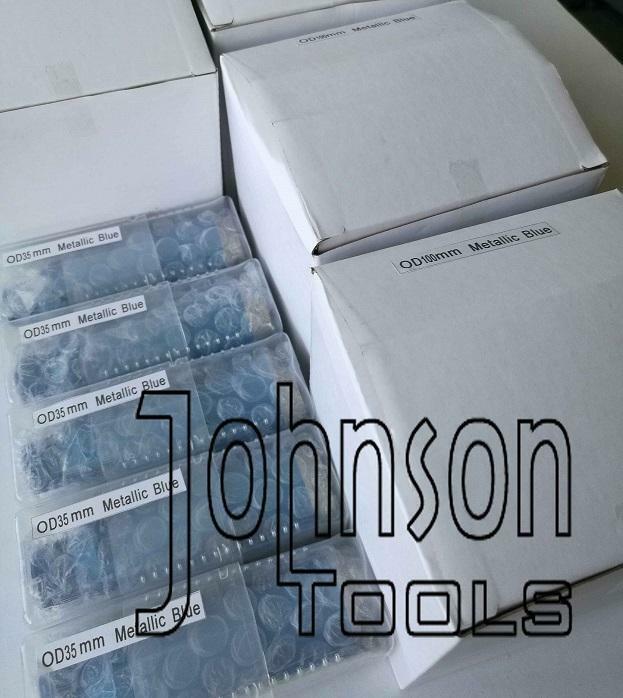 They are have fast drilling speed and extend product life.And used by core drilling machines and hand drills. We arrange production strictly according to customer requirements. Other size could be customized. 1. Applications: Drilling different stone. 4. Welding method: Outer diameter ≤ 18mm is silver soldering, ≥ 20mm is laser welding. 6. Accept sample order before the formal order. 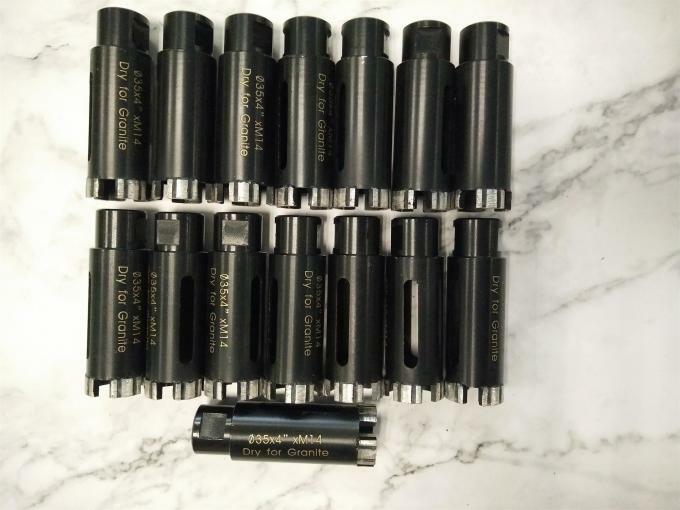 1) Package: Each Core drill bits are packed in plastic box, then according to the size, normal put in an export standard carton, gross weight per carton is limited within 15-20kg. 2) Delivery way: Air Freight when gross weight is above 45kg and less than 100kg. Fast delivery. Sea Freight when the gross weight is above 100kg. Cheaper freight charge. Courier (TNT, DHL, FedEx, Ups, etc). Small try order, door to door service. 3) Shipping date: If we have steel body in our stock, normally shipment will be around 7-10 days. If not, usually around 20-30days. 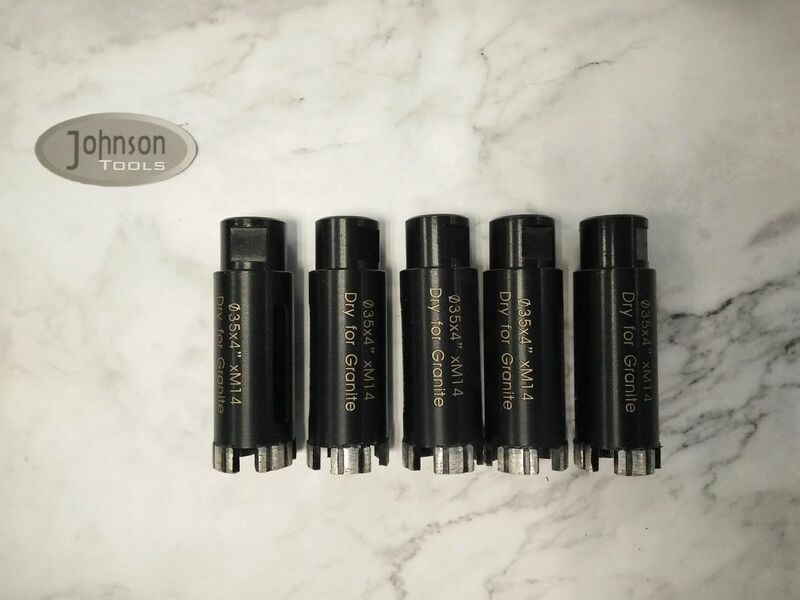 Established in 2000 year, Johnson Tools Manufactory Co.,Ltd have been acting as one of leading manufacturers in China stone and construction industries.We enjoy good reputation among customers with trustworthy product quality and creditable service. The steel disc is purchased from one of the best base manufacturers in China. Segment is produced by our own factory, which has mature laser welding technology. We can make custom as you require. Screen printing, laser marking or logo stickers on the saw blades you can choose. Contact us today, you will get more than what you see! 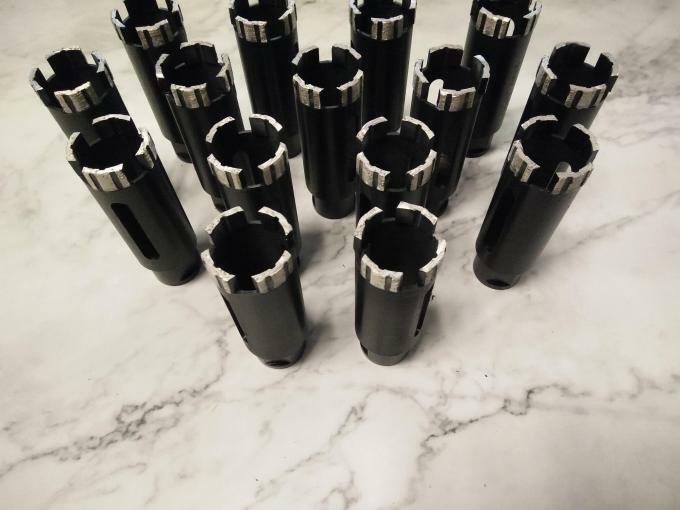 Products: Diamond Core Drill Bits. Size: 5mm to 70mm outer diameter. Thread: M14, 5/8"-11, Hex shank, Round Shank, Hex Quick release shank. Size: 3mm to 13mm outer diameter. Size: 5mm to 35mm outer diameter. Thread: Hex Quick release shank.